Born: 12 October 1891, Lincoln, England. Died: 28 June 1982, Knysna, South Africa. Eric M. Robinson, son of veterinarian John A. Robinson*, emigrated to South Africa in 1901 to join his parents and matriculated through the University of the Cape of Good Hope in 1907. Subsequently he returned to England, where he obtained his MRCVS (London) in 1912. After practising for a year he returned to South Africa as assistant to Sir Arnold Theiler* at the Veterinary Research Institute, Onderstepoort. In 1920 he was awarded the degree Dr.Med.Vet. by the University of Bern, Switzerland, for a thesis on the carrier in bovine contagious abortion. His thesis was published as Die virustr�ger beim seuchenhaften verwerfen des rindviehs... (Trebnitz-in Schlesien, 1921, 52p). Upon his return to South Africa he was placed in charge of the Allerton Veterinary Laboratory, near Pietermaritzburg, until 1922, when he was appointed lecturer in bacteriology at the newly established Veterinary Faculty of the Transvaal University College at Onderstepoort. In 1929 he was awarded a DVSc degree by the University of South Africa for his thesis The bacteria of the Clostridium botilinum, C and D types. That same year he became professor of infectious diseases in the Faculty of Veterinary Science at Onderstepoort, a position he held for 22 years. At the same time he was placed in charge of the Bacterial Vaccine Section of the Institute. In 1931 he was appointed sub-director of veterinary services. He was a keen research worker with many publications to his credit. 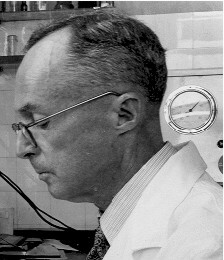 His work included investigations of tuberculosis, bovine contageous abortion (1914-1918), parasitic worms in domestic animals (1919), botulism in various animals, including birds (1924-1930), "bloedpens" (lamb dysentery, 1931-1932), and other bacterial diseases. Some of this research was reported on in a series of papers in the South African Journal of Science during 1915-1928. In 1947 Robinson rose to the rank of assistant director of veterinary services and in 1951 became deputy director. He formally retired that year, but carried on with his scientific work in various temporary positions until he finally retired in 1960 to settle at Knysna, where he established a private practice and was involved in animal welfare until 1977. During his lifetime Robinson served on the council of the Transvaal Veterinary Medical Association (1917-1918), as president of the South African Biological Society (1931), president of Section C of the South African Association for the Advancement of Science (1932), president of the Pretoria Rotary Club (1945) and for two terms as editor of the Journal of the South African Veterinary Medical Association. He was awarded the Senior Captain Scott Medal of the South African Biological Society (1937), the Gold Medal of the South African Veterinary Medical Association (1978) and the Paul Harris award for his services as a Rotarian. Catalogue of theses and dissertations of South African universities (in electronic form, University of South Africa). Curson, H.H. The veterinary profession in South Africa. (3) Professional Veterinary Medical Societies. (a) Transvaal Veterinary Medical Association. Journal of the South African Veterinary Medical Association, 1931, Vol. 2, pp. 3-22. South African Journal of Science, 1915-1928, Vol. 12, 16, 20, 22, 24, and 25: Papers by Robinson. University of the Cape of Good Hope. Calendar, 1909/10. Wijers, D. Review of the Captain Scott medallists. South African Biological Society Pamphlets, 1956, No. 18, pp. 17-25.